Learn from a Microsoft PowerPoint MVP (1 of 34 in the world). This session will blow you away! 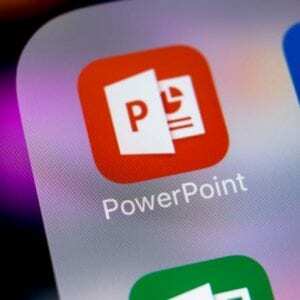 Get the top five secrets the pros use to make and deliver the best-of-the-best PowerPoint presentations. See how you can build almost any graphic in PowerPoint, make professional slides quickly, and keep your audience engaged and eager to learn. Discover where to get the best visuals, infographics, photographs, and PowerPoint add-ins. Walk away with new tools and techniques that help you do your job faster and better—while saving money. All attendees also get a special step-by-step PowerPoint file to make some of the professional infographics you see in the class. Do not miss this session! There is an attendee limit. Sign up now to guarantee your spot. Mike Parkinson, CPP APMP Fellow and 1 of 34 Microsoft PowerPoint MVPs in the world, is an internationally recognized visual communication and proposal expert, author and professional trainer. He is a partner at 24 Hour Company (www.24hrco.com), the premier proposal creative services firm. Mike has spearheaded multi-billion dollar projects and helped his clients win billions of dollars. Mike’s training, Billion Dollar Graphics and A Trainer’s Guide to PowerPoint books, Graphic Cheat Sheet (www.BillionDollarGraphics.com), and Build-a-Graphic software help companies succeed while saving money and time.